The 2019 MLB season began on Wednesday, as the Oakland Athletics and Seattle Mariners squared off in Tokyo. However, with the game starting at 18:36 local time, which is 5:36 ET and 2:36 PT, much of the American audience were fast asleep when the first pitch was thrown. 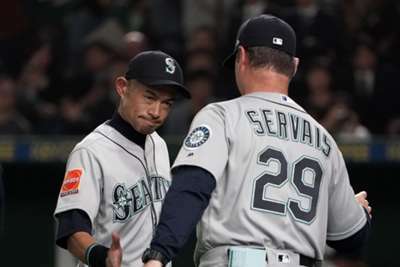 While many supporters in the Bay Area and Seattle were not able to see their respective teams start their campaign, fans in Japan were treated to an exciting encounter, with the Mariners prevailing 9-7. The two sides will do battle again on Thursday, but here we look at five things you may have missed from the start of the regular season. In what may be Ichiro Suzuki's final opening day start, the 45-year-old Mariners outfielder was unable to tally a hit, but found a way to get on base with a walk in his second plate appearance. Manager Scott Servais then took him out and Ichiro received a standing ovation from his compatriots. It was a moment befitting of one of the best hitters of all time. As good as Mike Fiers was for the Detroit Tigers and Athletics last season, the simple fact remains that he is not a typical ace of a pitching staff. Fiers is better suited as a number three or four and that showed on Wednesday as he lasted just three innings while giving up five runs to a Mariners team that lost three of their best hitters from a year ago. Oakland finished last season with one starter in their rotation and could decide to completely do away with starters if Fiers consistently does what he did in the opener. Seattle made a lot of trades in the offseason. They made big deals sending Jean Segura to the Philadelphia Phillies and Robinson Cano and Edwin Diaz to the New York Mets, and it made more subtle ones in acquiring Mallex Smith from the Tampa Bay Rays and Domingo Santana from the Milwaukee Brewers. While Smith is hurt right now, Santana has made a great start to his Mariners career, smacking a grand slam in his second at-bat of the year. That homer gave the Mariners a lead they would never relinquish and a winning start to the season. The A's 25-year-old third baseman was possibly the most under-the-radar great player in baseball last season, hitting 24 home runs and 64 RBIs. And he picked up right where he left off in the opener too, hitting a three-run home run and going two for five with two runs scored. He also made a fantastic play on a bunt to nab the speedy Dee Gordon. Oakland needs him to be great again this year if they hope to replicate last season's success. Losing Diaz undoubtedly hurts the Mariners. The 24-year-old closer saved 57 games in 61 opportunities last year while striking out 124 batters in 73 and 1/3 innings. That is incredibly hard to replace, but Hunter Strickland did not seem fazed by attempting to do so. The former San Francisco Giants reliever, most famous for throwing at Bryce Harper, triggering a fracas that saw both players hit with suspensions, was perfect, producing a flawless one-two-three inning with two strikeouts, the second coming against Chapman and ending the game. Strickland has always been an effective reliever and he could fill in more than admirably for Diaz.